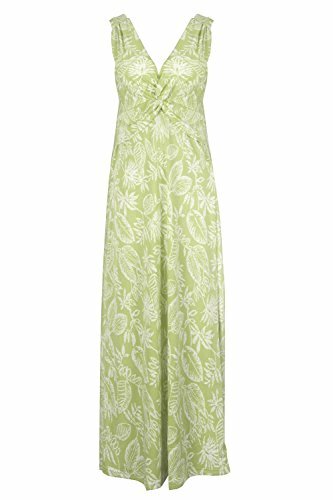 A gorgeous summer sun dress in a figure flattering style features a midi hem! 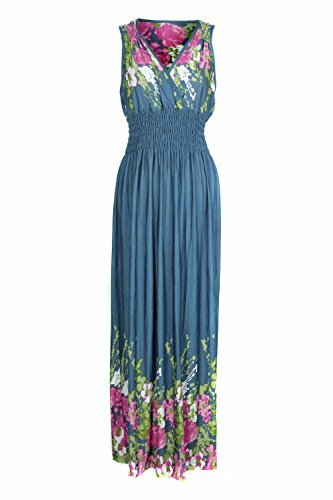 The soft stretch fabric ensures that this style is comfortable to wear, but the lightweight design is also lovely for keeping you cool during the hot seasons! 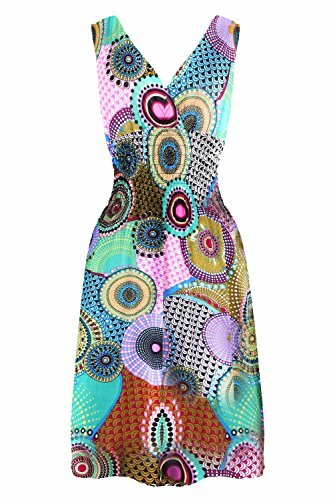 This dress features a fun pattern in a multi color design. Size:M ----- US Size 0-4, Bust 30", Waist 24", Hips 29", Length 37",L ----- US Size 4-6, Bust 32", Waist 25.5", Hips 31", Length 38.5",XL ----- US Size 6-8, Bust 34", Waist 27", Hips 33", Length 40",2XL ----- US Size 8-10, Bust 36", Waist 29", Hips 35", Length 42"
Women's spring and summer dresses in various prints and patterns in a comfortable stretch jersey knit. Various designs in necklines, sleeve constructions, and waistlines. 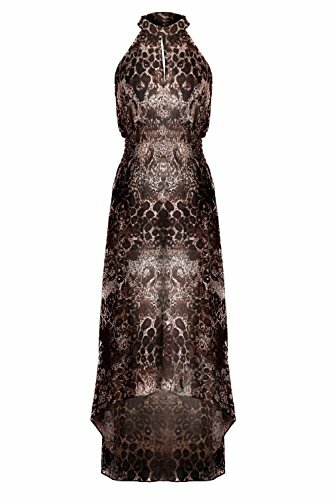 Casual and elegant styles to be dressed up and down perfect with all accessories for most body types. Sleeveless long smocked dress featuring a bohemian inspired bright bold printed pattern all throughout for the season. Surplice crossover v-neckline and a fitted smocked stretch construction defining the waistline. Ruched tie and smocked details at shoulders and a lengthy dress in a top quality medium weight jersey stretch knit for softness and comfort. Sleeveless long smocked dress featuring a bohemian inspired bright bold printed pattern all throughout for the spring summer season. Surplice crossover v-neckline and a fitted smocked stretch construction accenuating the waistline. Ruched tie and smocked details at shoulders and a lengthy dress in a top quality medium weight jersey stretch knit for softness and comfort. 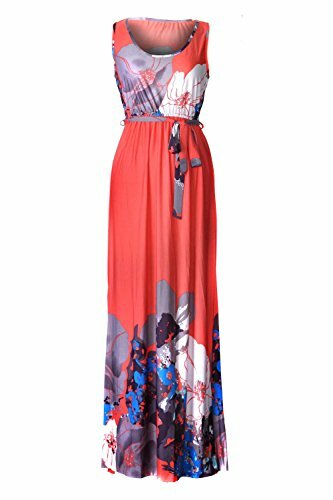 Slip into this simple and beautiful casual spring summer printed patterned medium length midi sun dress. Perfect for casual occasions out to the beach or relaxing around at home. Pairs well with all your accessories and footwear. Smocked detailing at shoulders at in a stretchy empire waistline. Sleeveless and ruffled flutter short sleeve design with a floral flower patterned print throughout all over. Self tie drawstring at shoulders and a ruffled short sleeve design for a cute and chic silhouette. Various necklines: Asymmetrical, scoop, and tube fitted designs. Lightweight and stretchy 98% polyester 2% spandex. Tart Size Guide Keep your look refreshed and refined in this Tart™ Sian Dress. Dress flaunts a light and airy fabrication. Drop waist silhouette. V-neckline. Button-up placket. Long sleeves with gathered cuffs. Drawstring waist with tie detail at sides. Straight hemline with ruffle flair. Lined. 100% rayon;Lining: 100% rayon. Dry clean only. Imported. Measurements: Length: 40 in Product measurements were taken using size SM (US 2-4). Please note that measurements may vary by size. Polyester, Spandex, Rayon, stretch lightweight fabrication perfect for warm and hot weather. 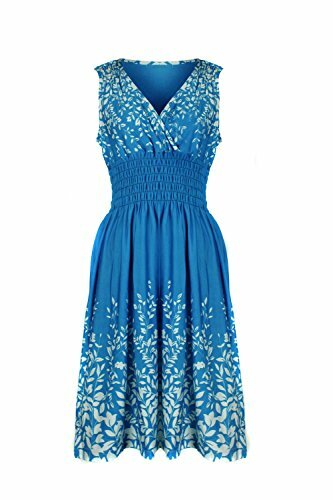 Various design styles in sleeveless with a crossover surplice neckline, lace halter racerback style, chained spaghetti strap, keyhole neckline, halter neckline, cross x back design. Colorful printed patterns in bohemian themes, lace embellishments, floral patterns, smocked waistline, geometric shaped patterns, and exotic animal prints. 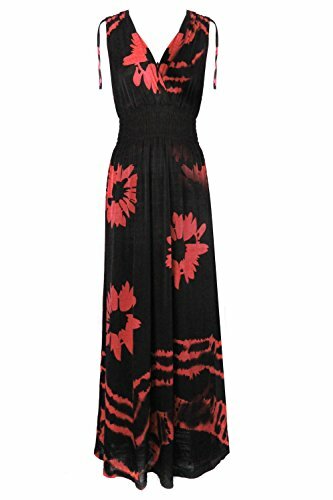 Great for a casual day out, at home, at the beach, or for dress up--you name the occasion. Versatile and styles well with most accessories and footwear. 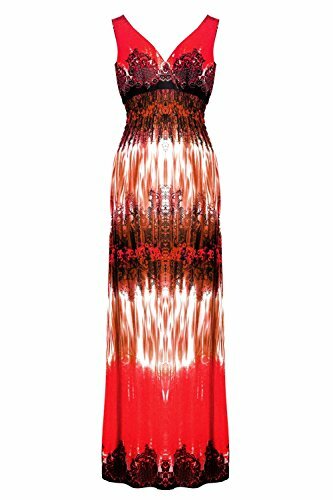 Beautiful printed long maxi dress perfect for the spring and summer weather in an array of colors and styles to choose from.